Most gardeners have tasted their first sun-ripened tomato by now, which only makes us want more. Can the plants we set out in spring keep going strong all summer? The answer is yes if you provide preventive healthcare before your plants show serious signs of trouble. 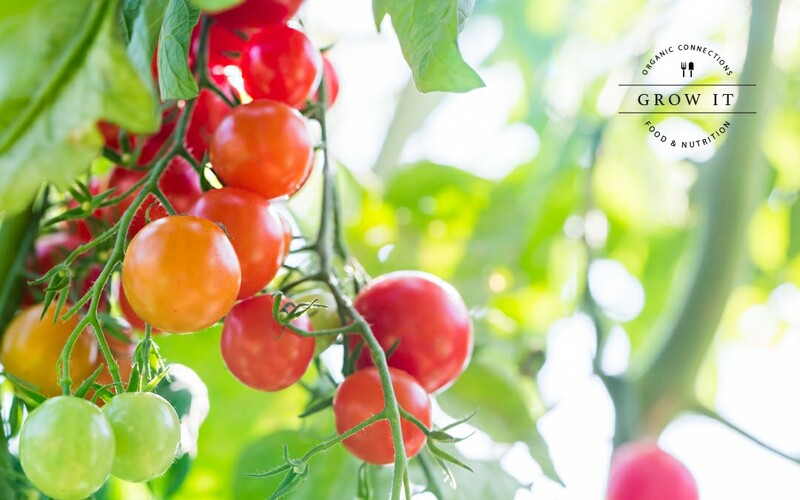 Here are five things you can do to ease summer stress to your tomato plants so they can produce bumper crops of mouthwatering fruits. Secure cages, stakes and ties. As tomatoes grow taller, they become so top heavy with fruits and foliage that gusty winds can pull them over. If cages begin to lean or feel wobbly, install new stakes and ties as needed to hold the cages and plants upright. Use old cotton T- shirts cut into one-inch-wide strips to tie wandering branches to stakes and cages—the stretchy fabric is gentle on tomato stems, and the strips can go into the compost pile at the end of the season. Several of the most common tomato diseases get their start on tomato leaves close to the ground, mostly because those leaves stay damp for long periods of time. Use pruning shears or scissors to trim off all of the leaves within 12 inches of the ground and compost them; go higher if most of the low leaves show brown patches. This quick operation removes fungal spores that would otherwise spread to healthy leaves and improves air circulation around the plants. The most common insect pest of tomatoes is the tomato hornworm, a leaf-eating caterpillar that is easiest to spot by looking for the trails of dark, pebbly frass (digested leaf) it leaves behind. Hand-pick hornworms and kill them or relocate them far away from the garden. Once removed from tomato plants, they cannot find their way back. Tomatoes that must endure alternating cycles of wet and dry soil may show it with tough-skinned fruits that are prone to cracking. Moisture stress can also keep new fruits from forming, so do your best to keep the root zone lightly moist between rains. The most efficient way to do this is to use a soaker hose tucked away beneath a deep organic mulch. When watering by hand, take care to direct water to the plants’ roots while keeping the foliage dry. The proteins in milk make it useful as a nutritional supplement for tomatoes when applied as a drench to the roots, and a milk solution sprayed on tomato leaves may help prevent powdery mildew and other leaf diseases. For either use, you can utilize any type of cow or goat milk (including aged specimens from the fridge), or even reconstituted dry milk. If you make your own yogurt or cheese, this is a good use for whey. When used as a soil drench, the proteins in milk degrade into nitrogen laced with calcium—just the boost tomato plants need when they are ripening a crop and growing like crazy. When applied to leaves on a sunny (but not scorching) afternoon, milk sprays have a flash antifungal effect as certain proteins interact with sunlight. And if the plants feel the need, they may take up small amounts of nitrogen and calcium from the droplets of diluted milk on their leaves. To prepare milk for ’maters, mix one cup milk with five cups water, and pour the solution onto each plant’s root zone, apply it to leaves using a pump spray bottle, or do both. Repeat after two weeks to give your tomatoes just the boost they need to survive summer in style. Award-winning garden writer Barbara Pleasant tries to grow just enough tomatoes for eating fresh, canning and drying in her Floyd, VA, garden. 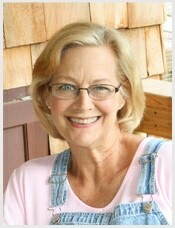 Her website is www.barbarapleasant.com.